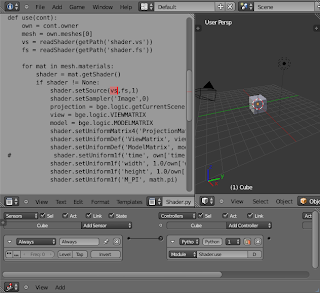 The Blender Game Engine can make use of shader written in GLSL. 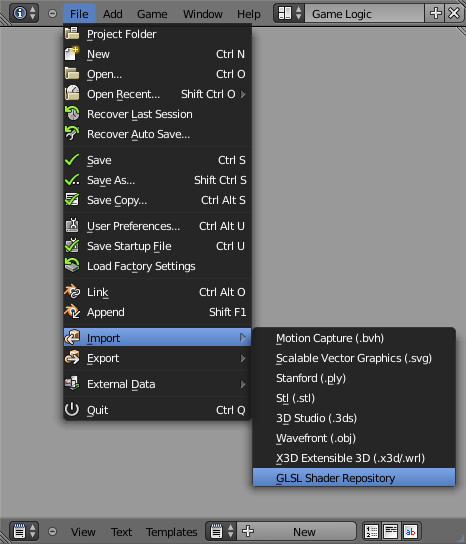 In the standard version you can easily use vertex and fragment shader for your objects and fragment shader for post-processing (also known as 2D Filter). Adding post-processing effects is very simple. In the logic brick section you'll find an Actuator called "Filter 2D" where you set up the filter you want to use. You can choose from pre-built filters or one of you own from a text file. 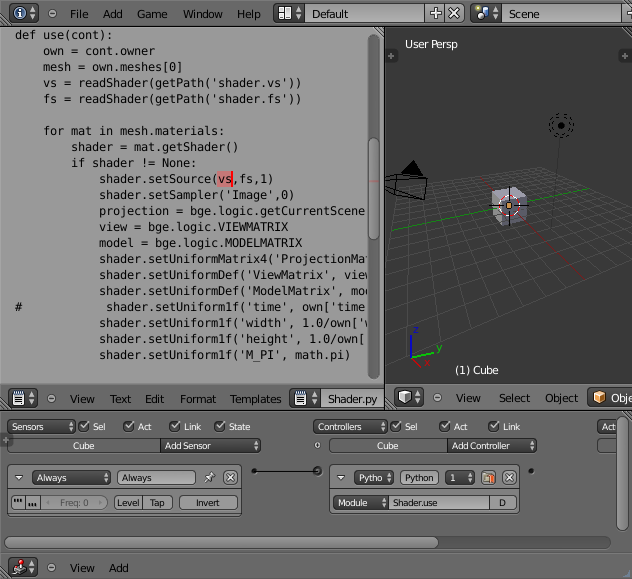 To use a GLSL shader on your object you need to write a bit of python code. 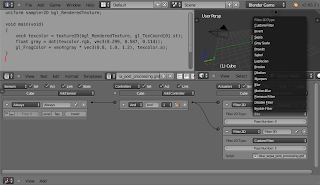 Recent development in the harmony branch (https://svn.blender.org/svnroot/bf-blender/branches/ge_harmony/ ) is making using shader much easier, and also brings support for geometry shader. You don't need python code anymore. 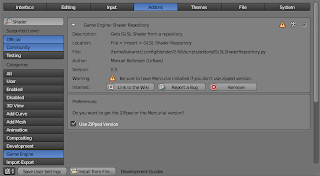 Just add a custom shader, choose its type, its source and you are ready to go. 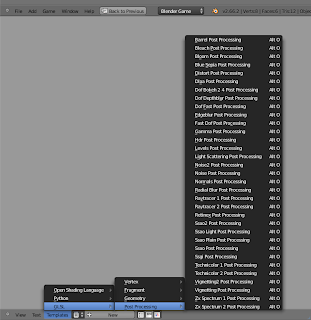 Where do I get all those fancy shader from or do I have to code them all by myself? 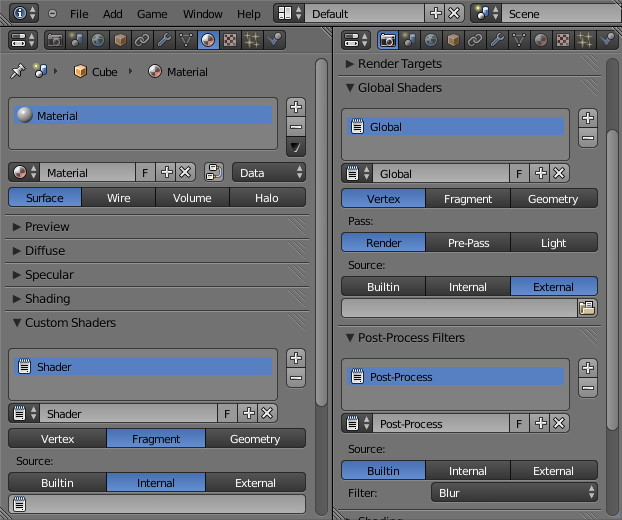 For most things you don't need a custom shader. 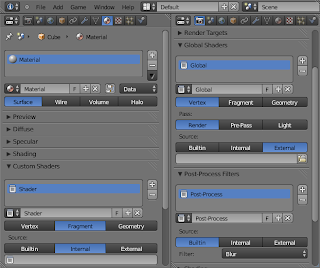 There are built-in post-processing shader and for materials and objects you can use the material nodes most of the time. It has some shader sorted in folders. Click on one of the shader and it gets loaded as an internal file. 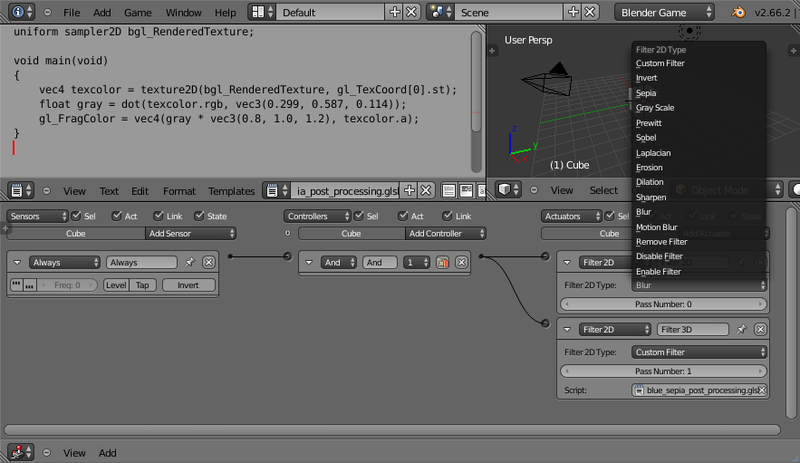 So currently the post-processing shader are easiest to use with the Filter 2D Actuator. I haven't tried them so they might not work. Please post issues (best on the repository site) so they can be fixed. 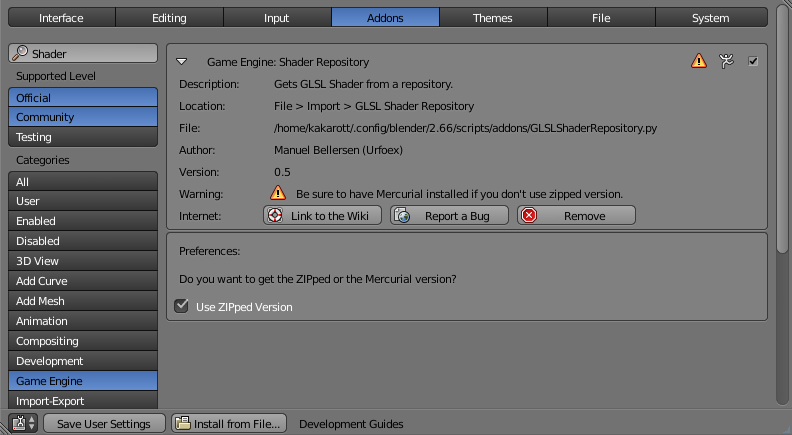 It would be very nice if you could also give me more shader to put in the repository. There is also a reference folder in the repository containing lots of shader code that would need some revision to make it compatible with BGE. 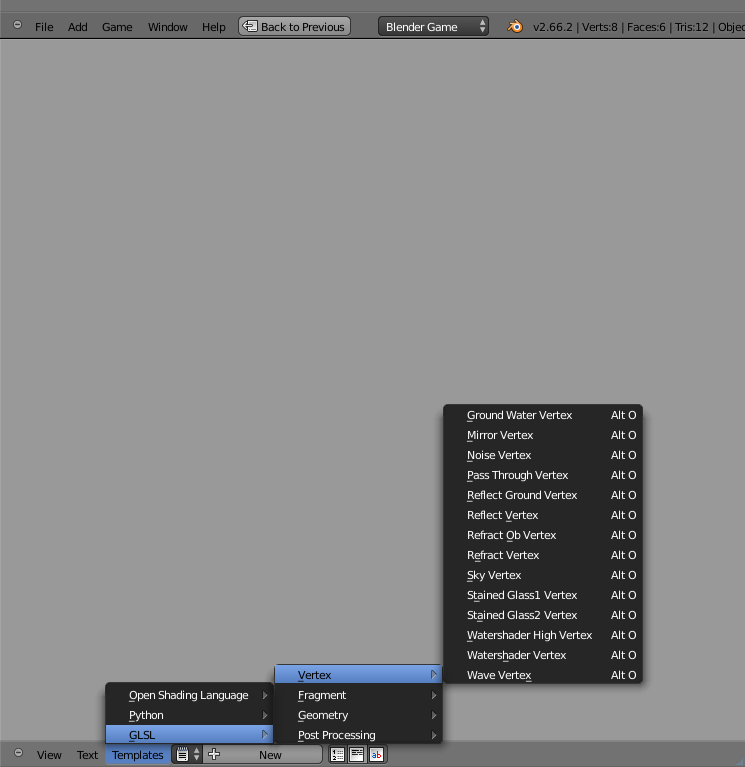 Now have fun with shader! Design "Reise". Designbilder von rajareddychadive. Powered by Blogger.